It’s an exciting time when the tomatoes really start to bear. On the mountainside at 3100 feet, our farm is 3 or 4 weeks behind the valley in all our seasons, so tomatoes come in at midsummer. It’s hard to wait that long, but there’s a reward too—when tomatoes are long gone at lower farms, ours are flourishing right into Fall. 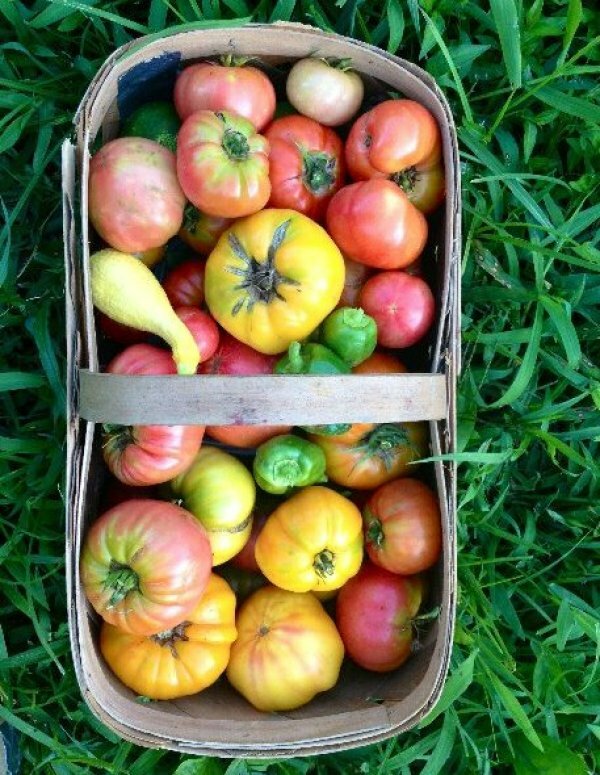 And oh, the wait is worth it for these heirlooms that we grow! The flavors are so rich, and so are the names—Mortgage Lifter, Brandywine, Mr. Stripey, Cherokee Purple, Mexico Midget, Mountain Pride, German Johnson, Kellogg’s Breakfast, and so many more. It’s hard to decide which one to eat first.